Escape to Cannon Cottage, a spacious 2 bedroom en suite villa with its tropical colours, distinctive art work and furnishings that are tasteful, stylish and one of a kind. Cannon Cottage, which boasts two original cannons from Jamaica's colonial era, is located in the gated community of the Silver Sands. Cannon Cottage overlooks and offers breathtaking views of the world famous Silver Sands Beach which is just a one-minute walk away. Dining on the terrace provides a tranquil view of the turquoise waters of the sea as well as the beautiful tropical foliage surrounding the Villa. At any time of the day or night you can relax in the Jacuzzi on the back patio which is set in a tropical garden o with its own waterfall, or you might relax in the hammock on the terrace and enjoy the cool ocean breeze. Lorna, Nessie and Barrington, the cook, housemaid and gardener, will pamper you to ensure that your stay at Cannon Cottage provides memories to last a lifetime. Billy, the licensed Jamaica Tourist Board driver, will provide transportation to and from Montego Bay's Sangster International Airport, Please advise if you need car seats. The Villa provides some amenities for babies and children at no extra cost. 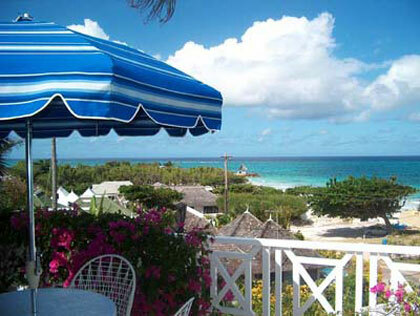 Cannon Cottage is private enough to get away from it all, or you may wish to join other families at the Beach Bar who may be staying at any of the other Villas throughout the Estate. Joggers will appreciate the safe environment in which to do their exercise. The beach is an expanse of magnificent fine grained white sand, one of the best in the Caribbean, and provides the comfort of a qualified life guard. You may bask in the sun, snorkel and explore the reefs of Silver Sands or swim in the beautiful pristine blue waters.